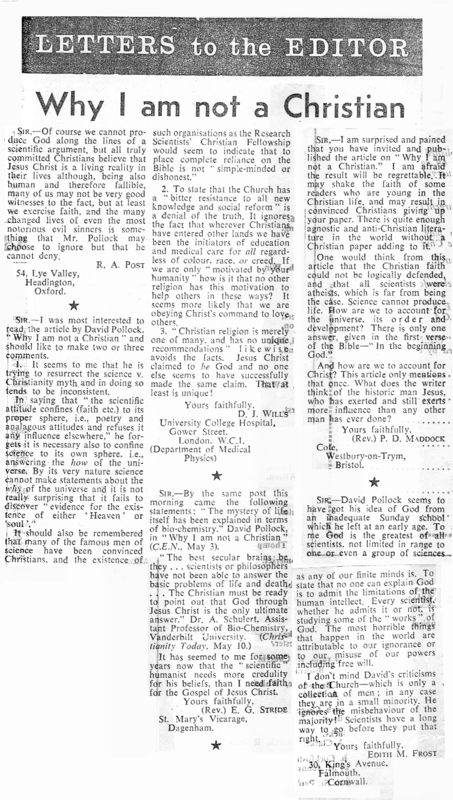 But in the ballot that term the reformers fell five votes short of the two-thirds majority that was required: 903 votes for, 459 against. 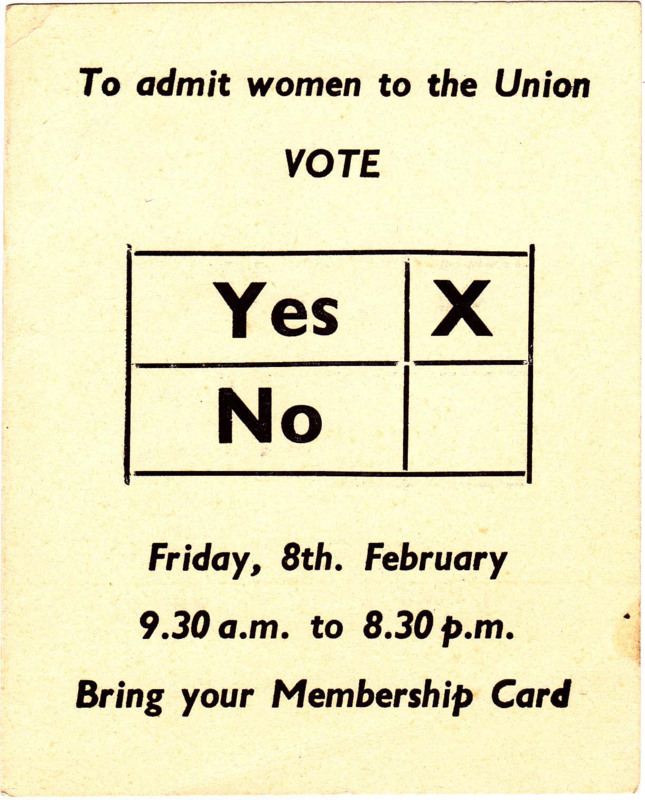 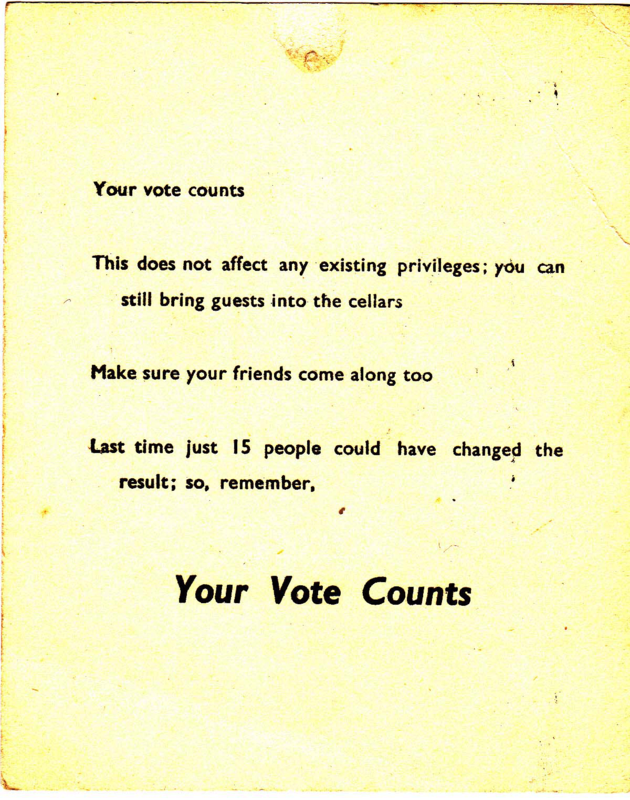 In Hilary 1963 the OUHG press produced a ‘polling card’ for the ballot and OUHG members canvassed assiduously. 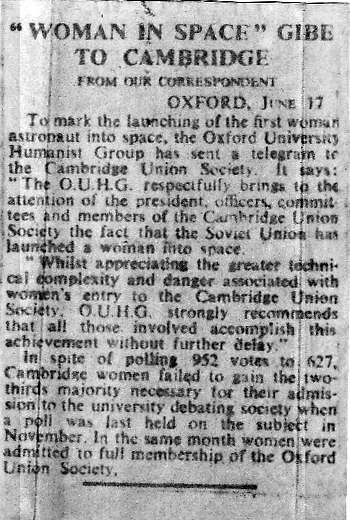 At last the battle was won, by 1,039 votes to 427, and after a futile last ditch attempt to use the blackballing rule to bar all women applicants (a rule promptly abolished) women were admitted. 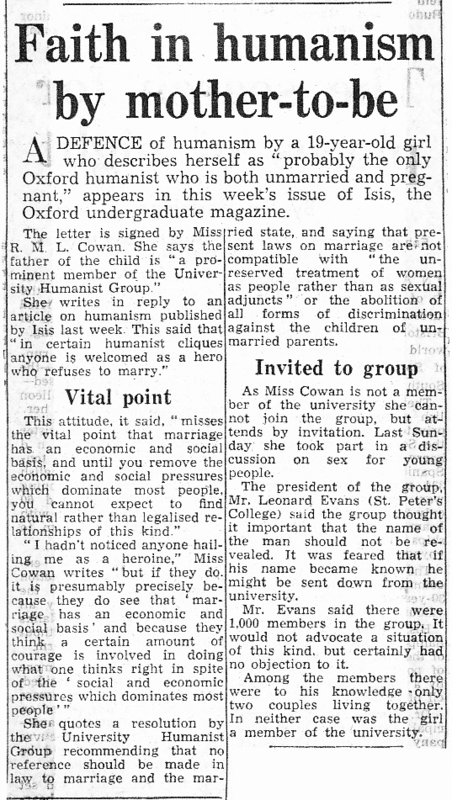 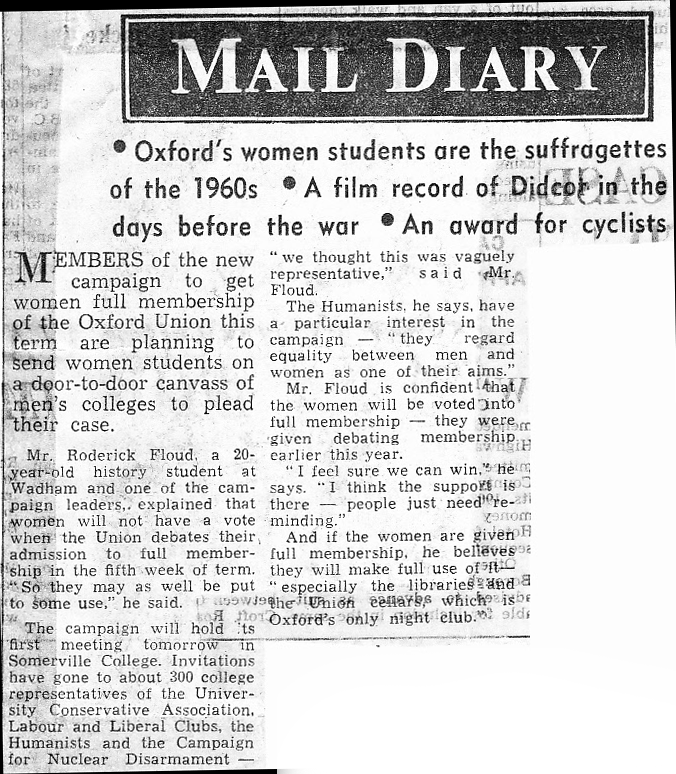 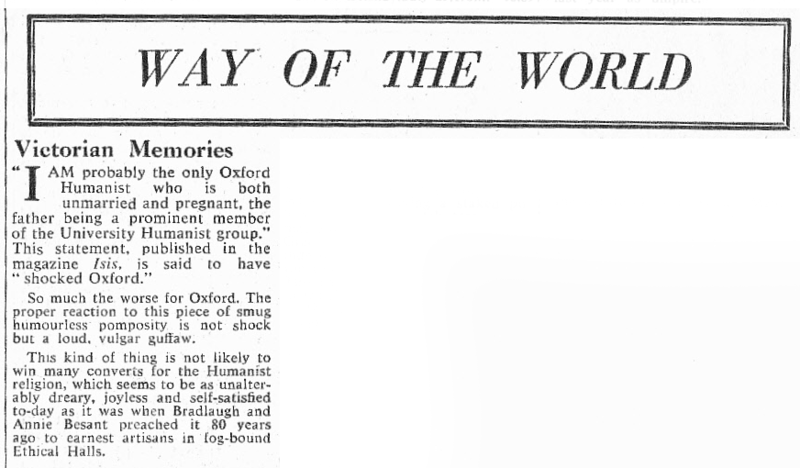 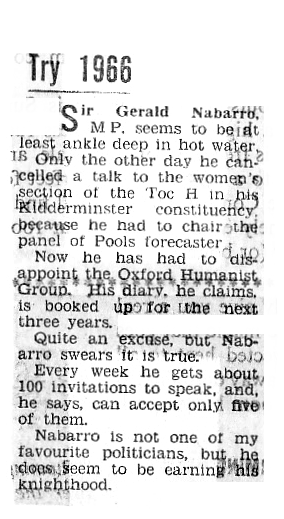 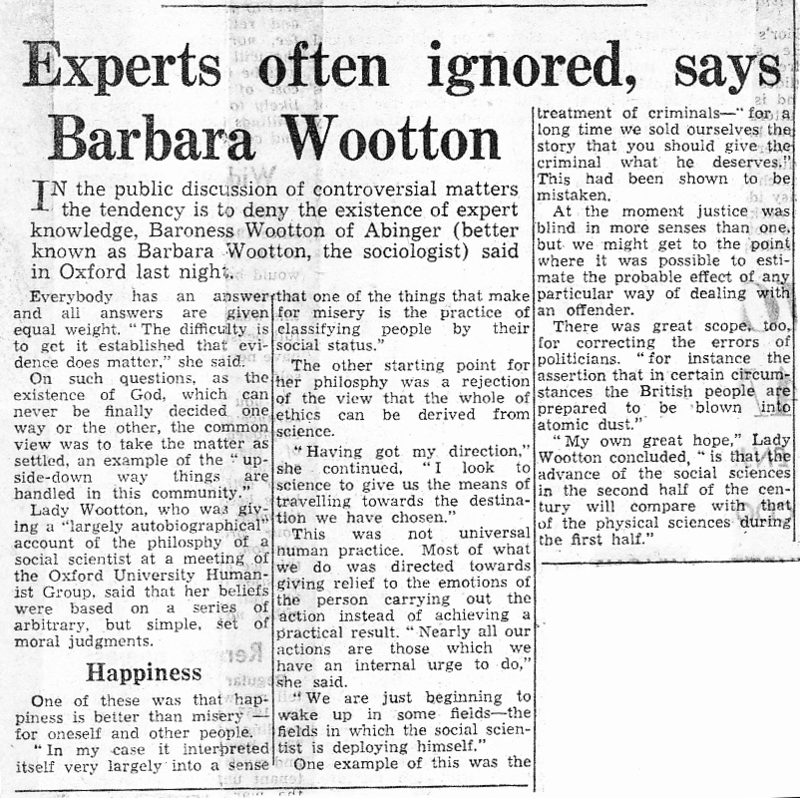 Former OUHG committee member “Deirdre Wilson, 21” got her photo in the Daily Mail‘s gossip column (12 February 1963) along with eight other aspirant members. 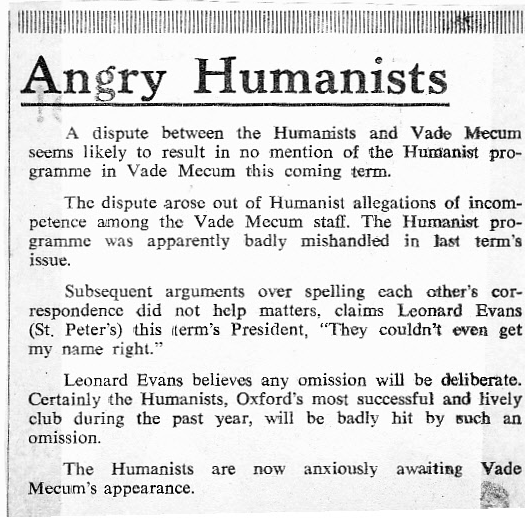 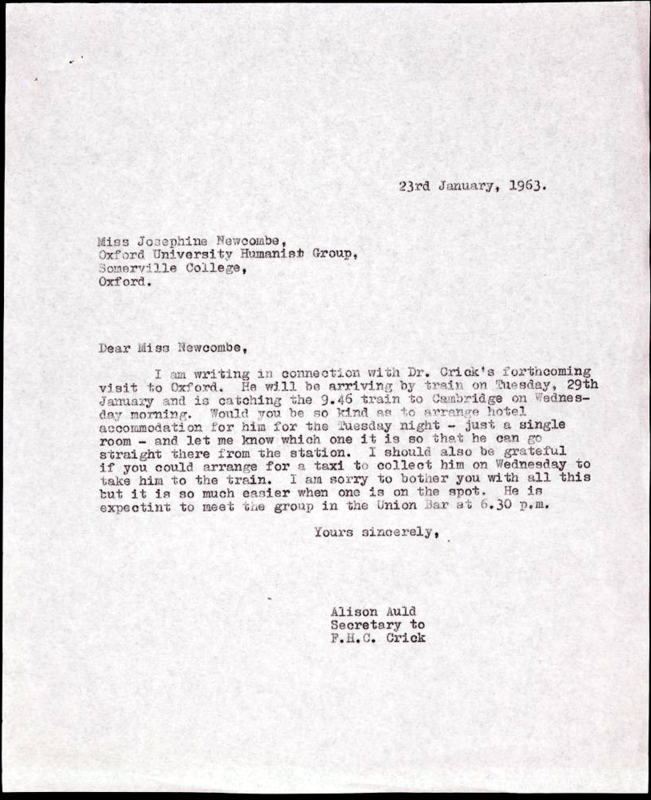 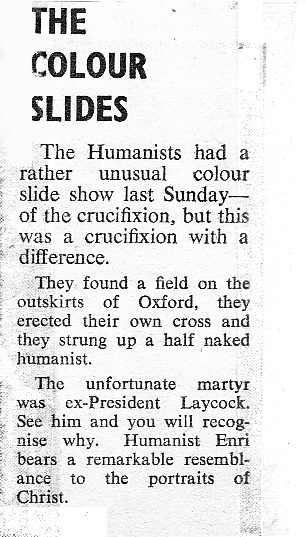 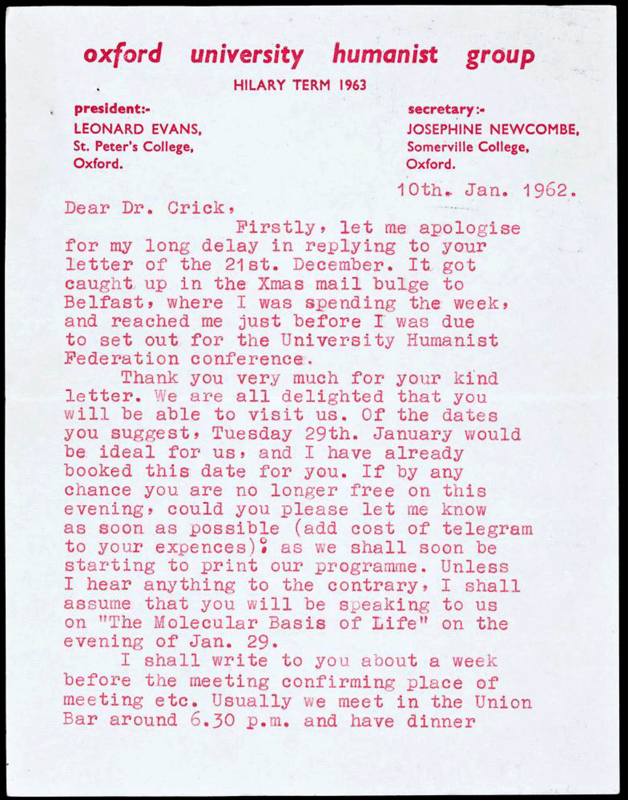 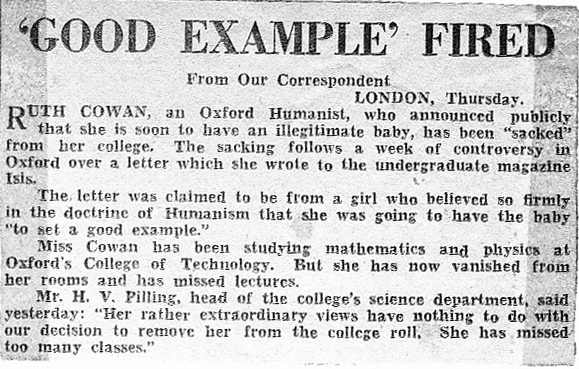 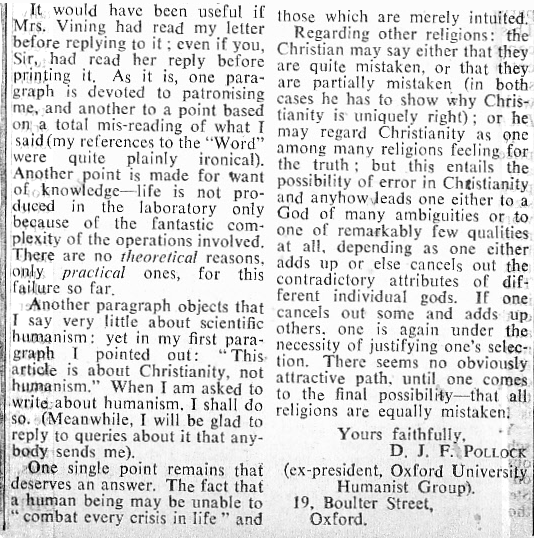 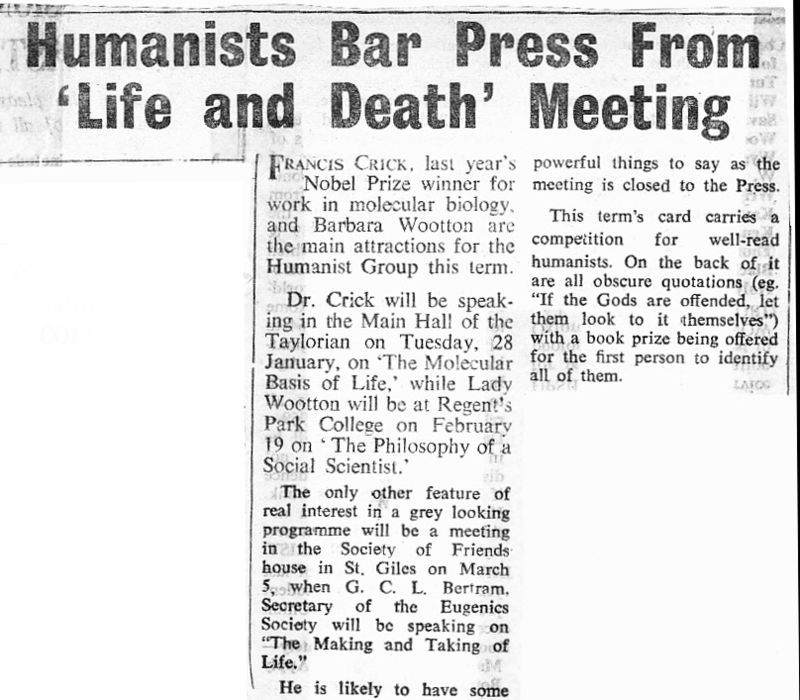 The Isis series on the Humanists led to a letter from an “unmarried pregnant humanist” which brought Fleet Street down on Oxford en masse – and that led to strong criticism of the behaviour of press. 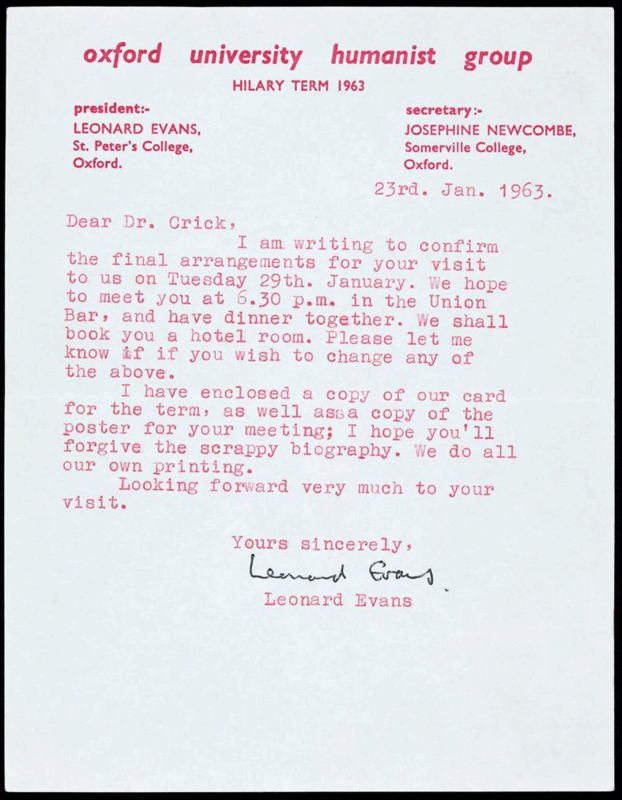 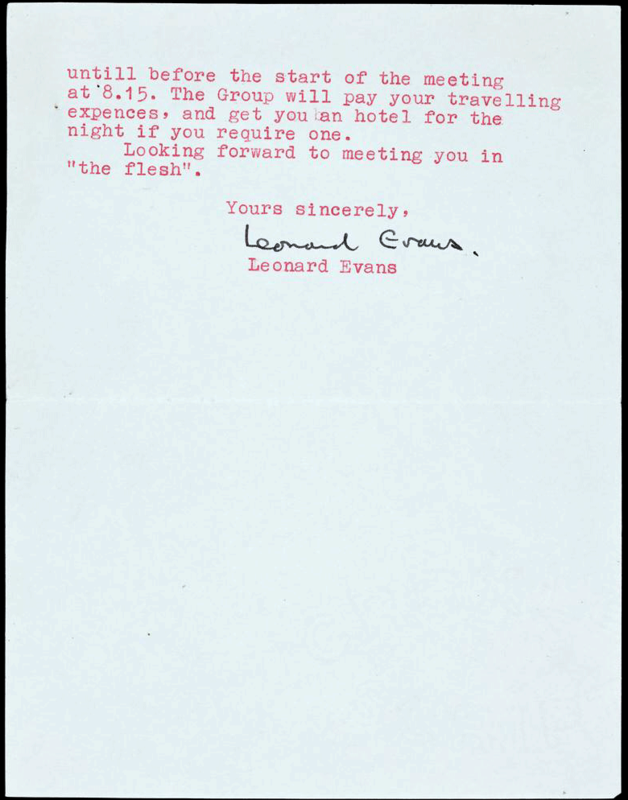 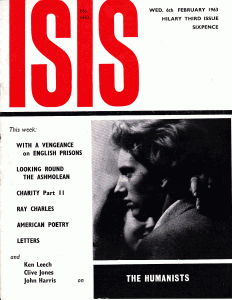 This was the letter (Isis, February 1963) that sparked everything. 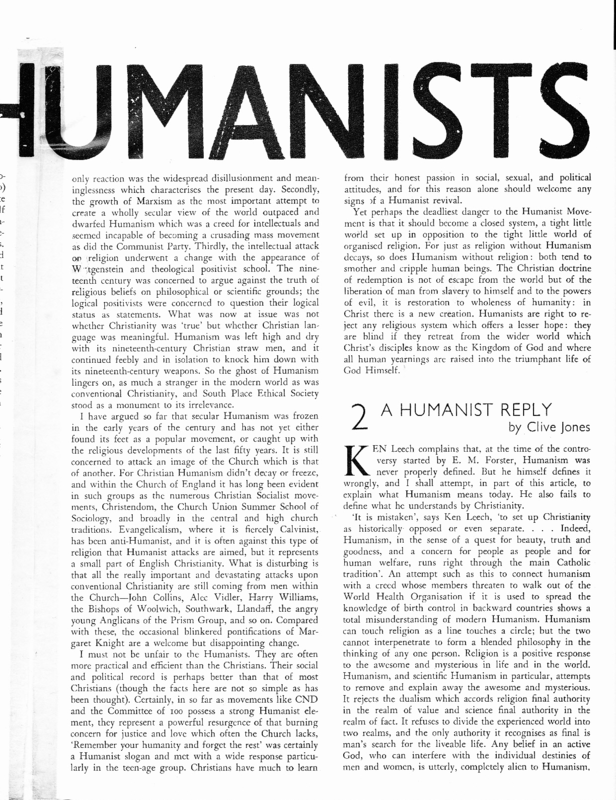 It responded to an article in Isis‘s series on the Humanists. 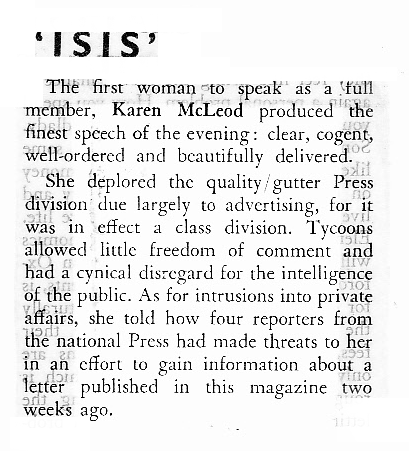 Meanwhile criticism was building up of the behaviour of the press. 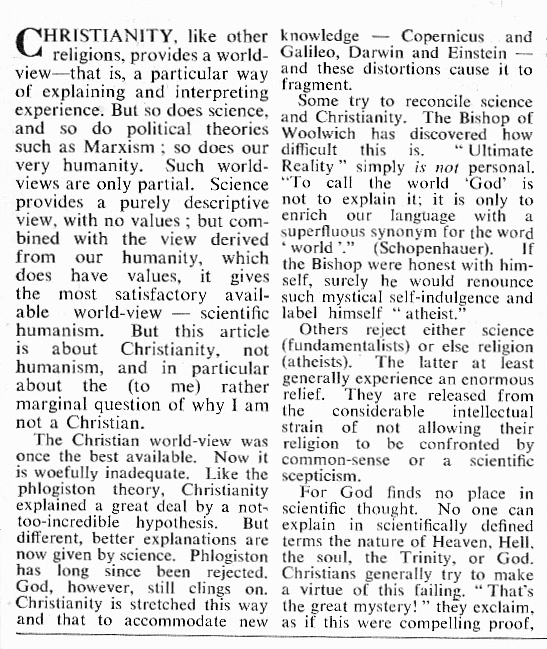 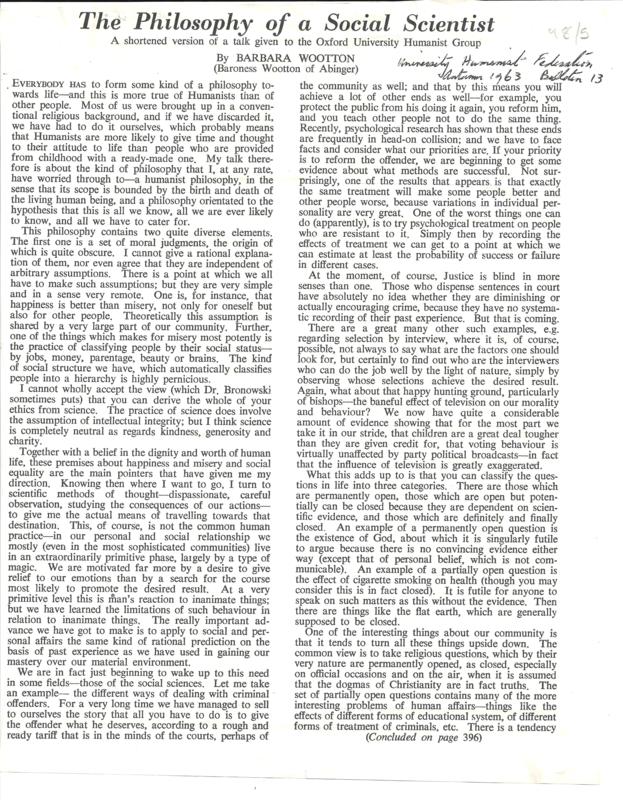 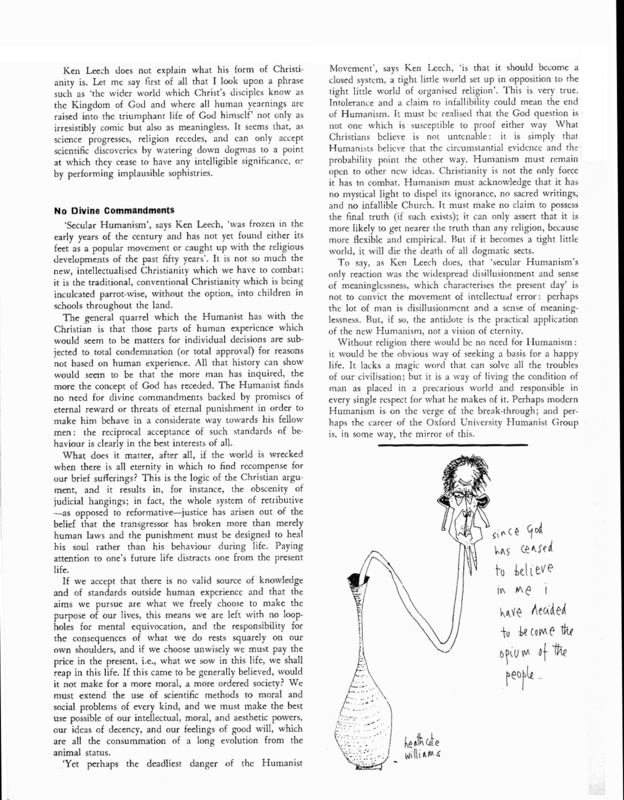 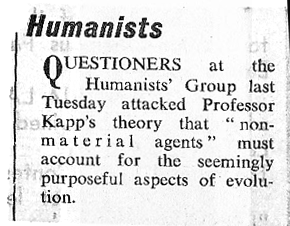 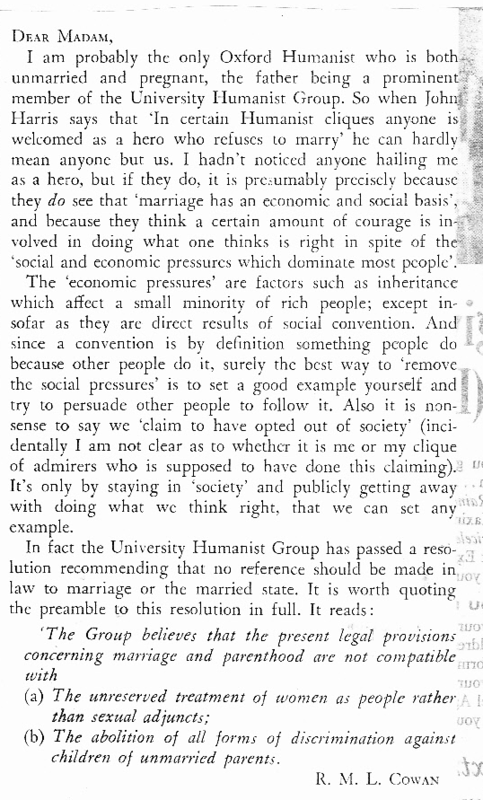 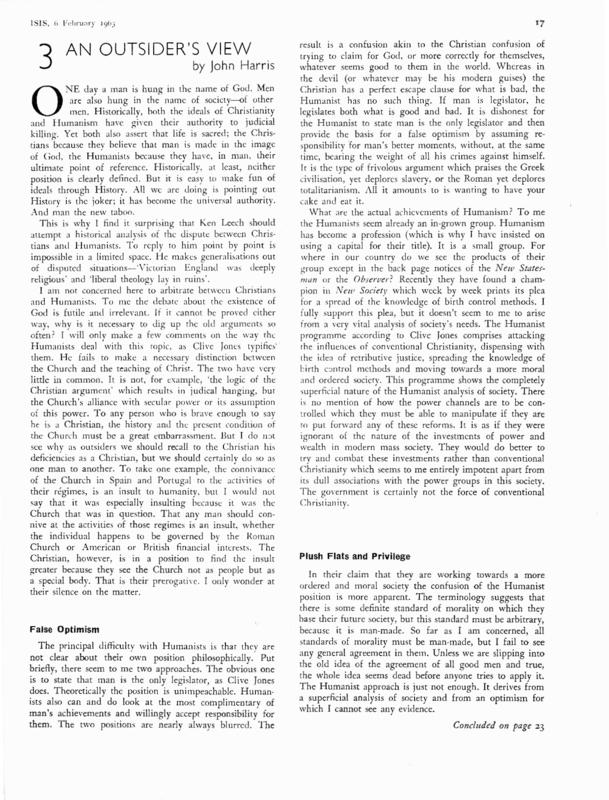 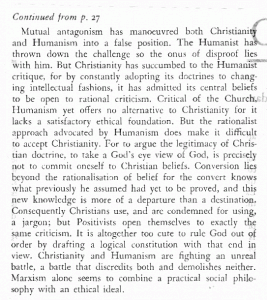 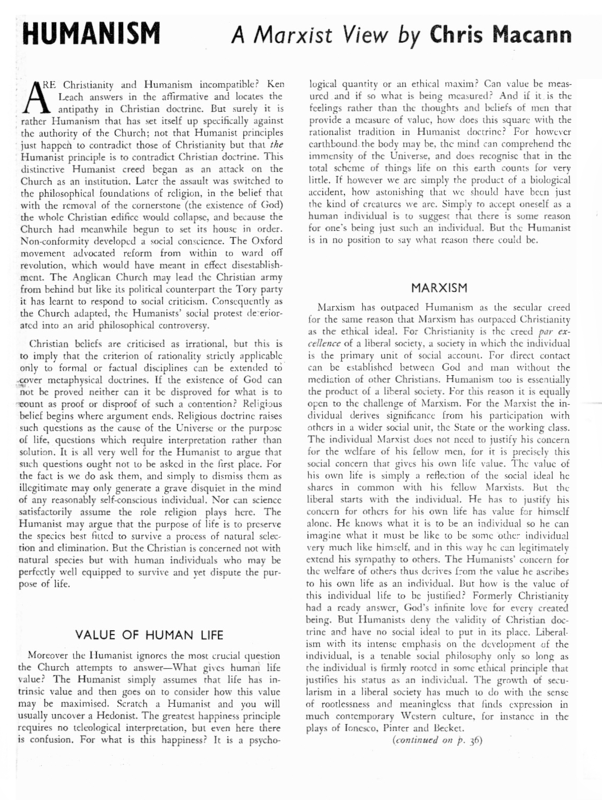 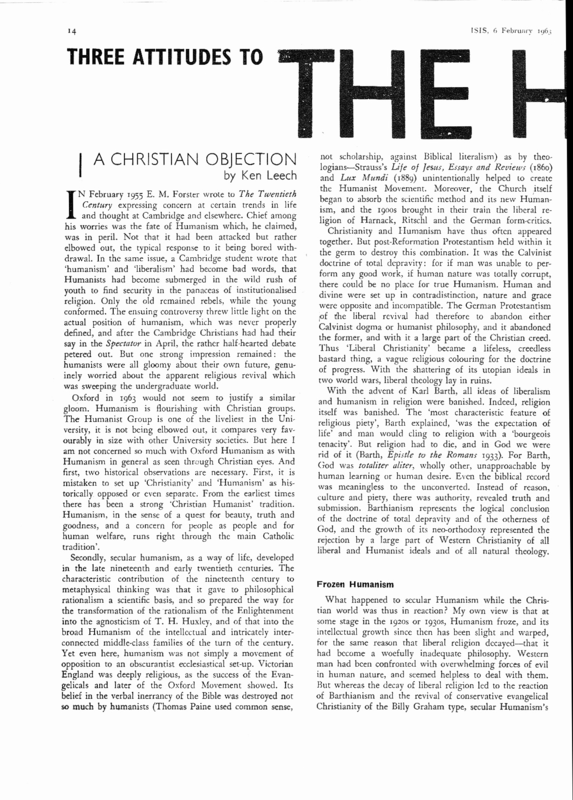 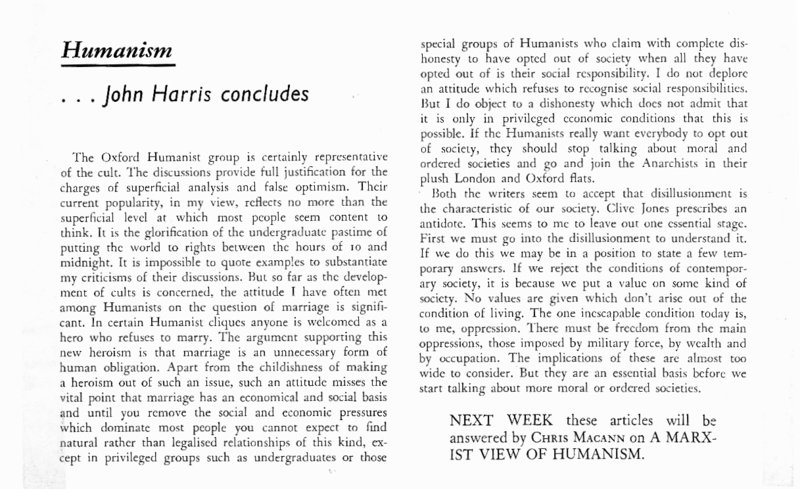 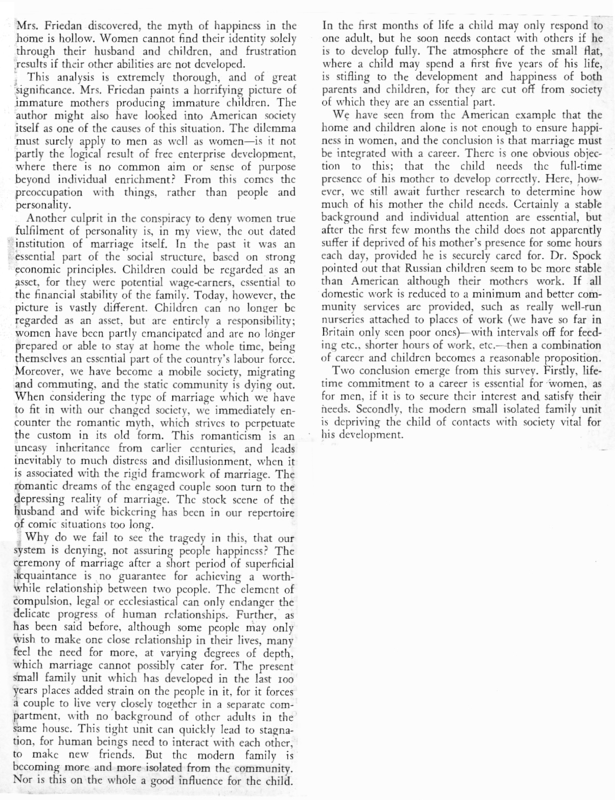 Isis, edited in Hilary 1963 by Karen McLeod, published a series of articles assessing the Humanists. 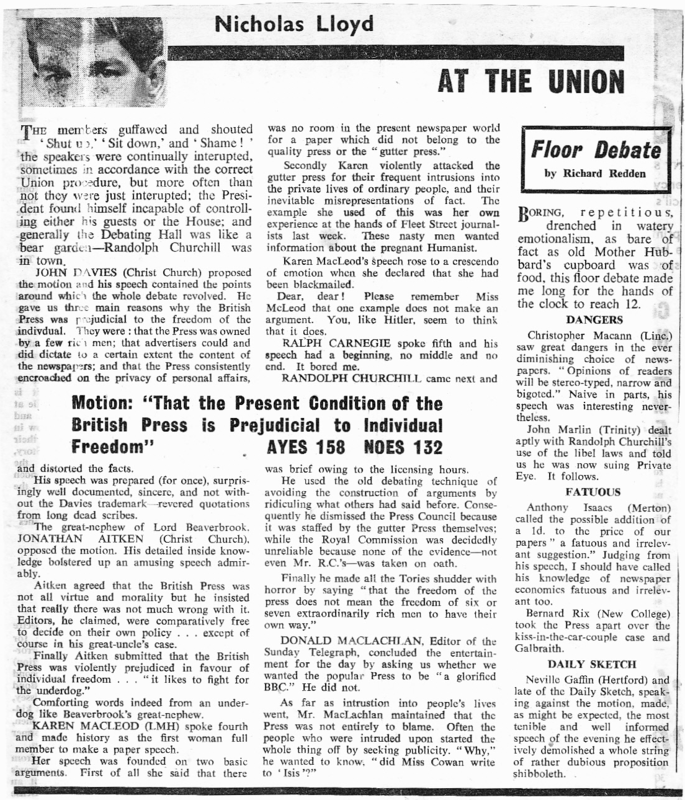 They started with three articles on 6 February. 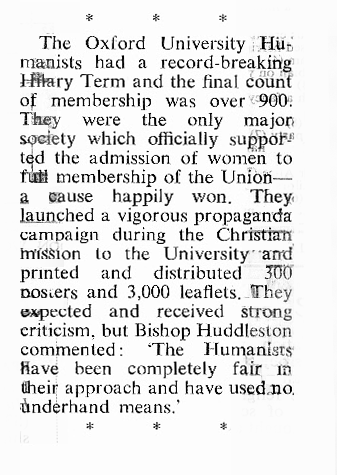 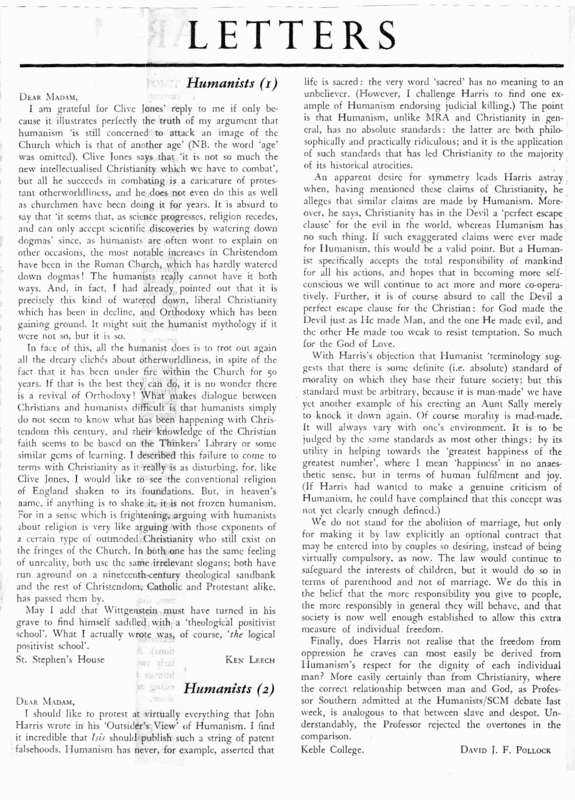 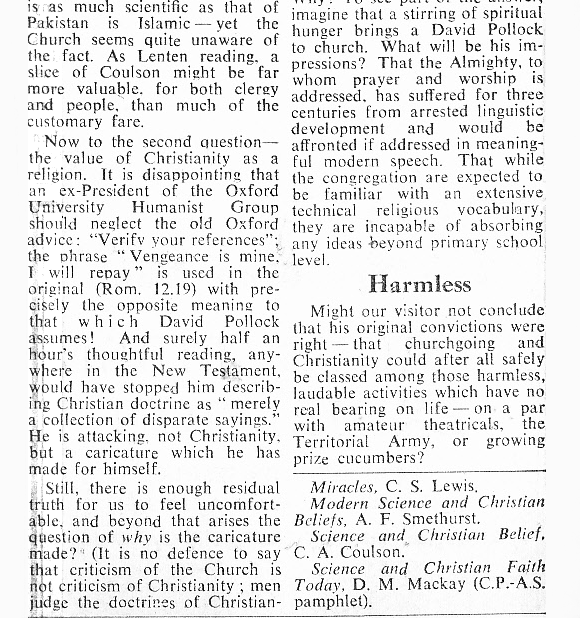 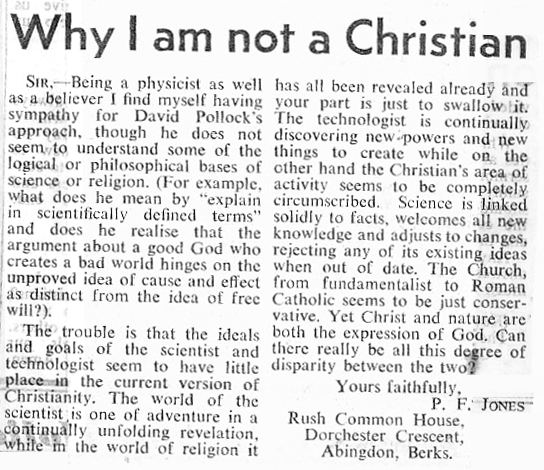 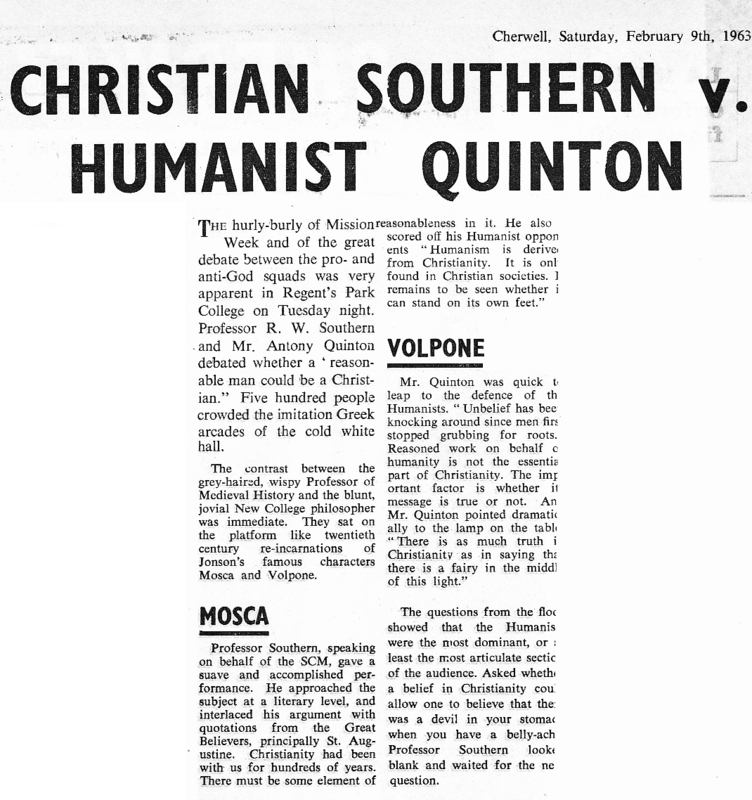 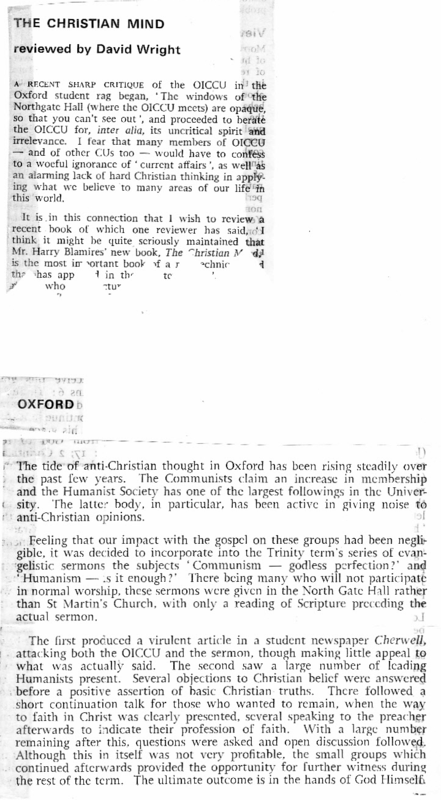 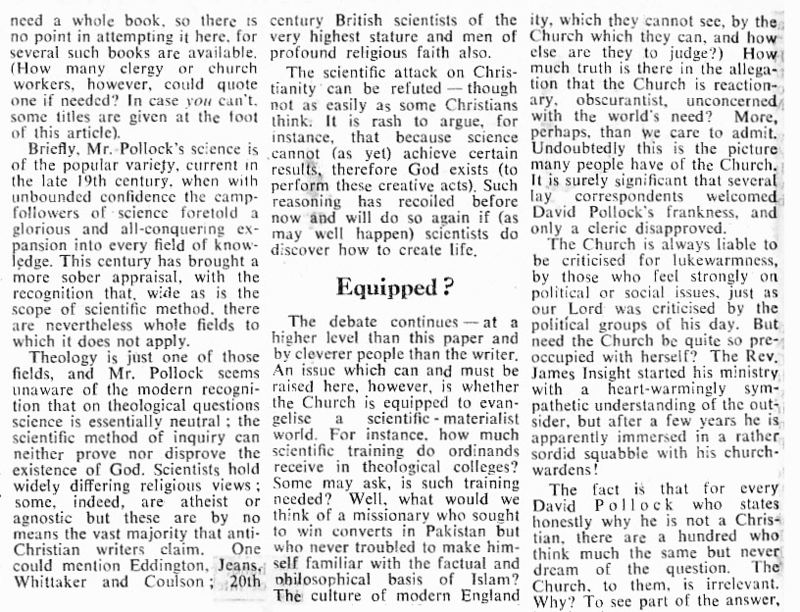 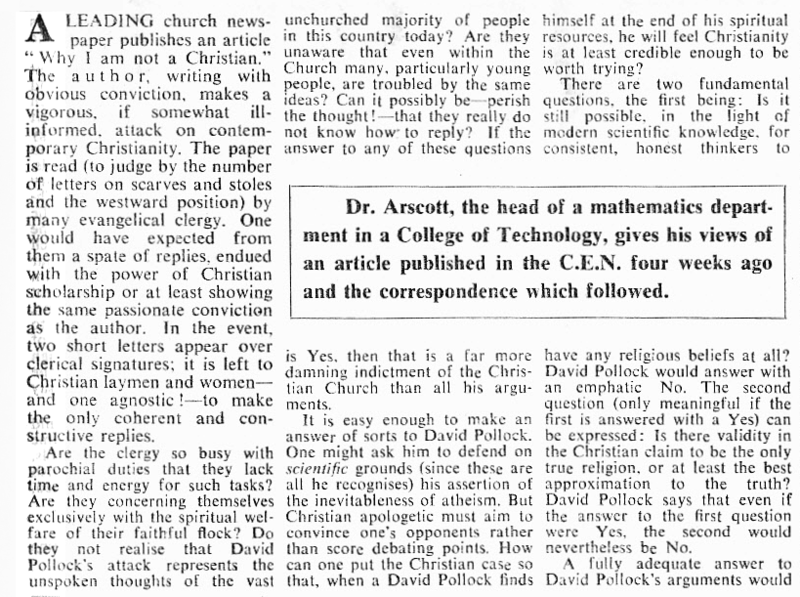 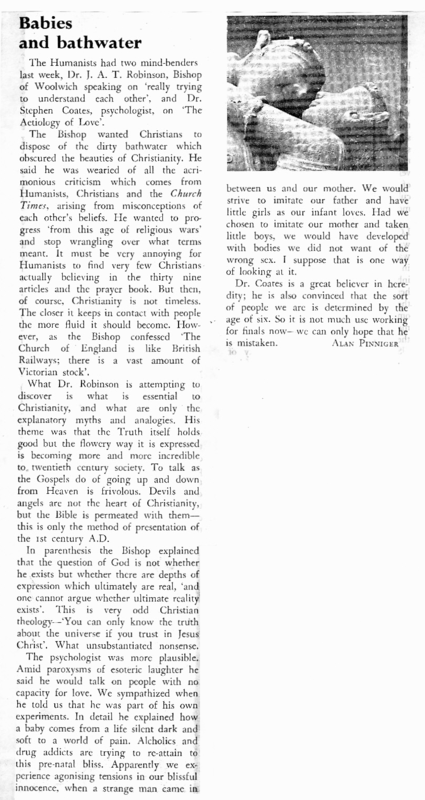 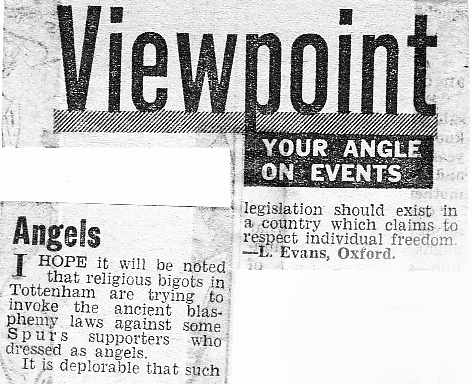 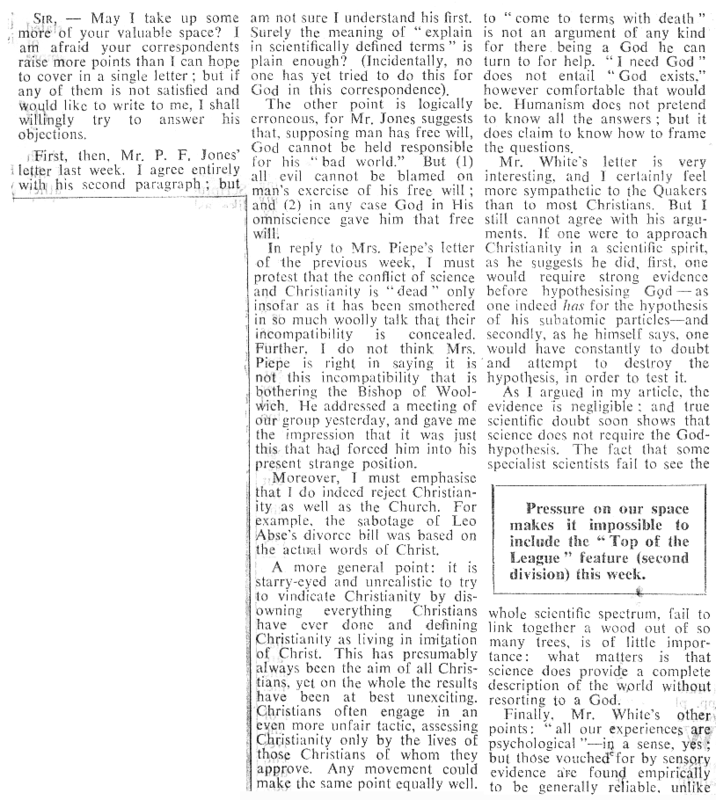 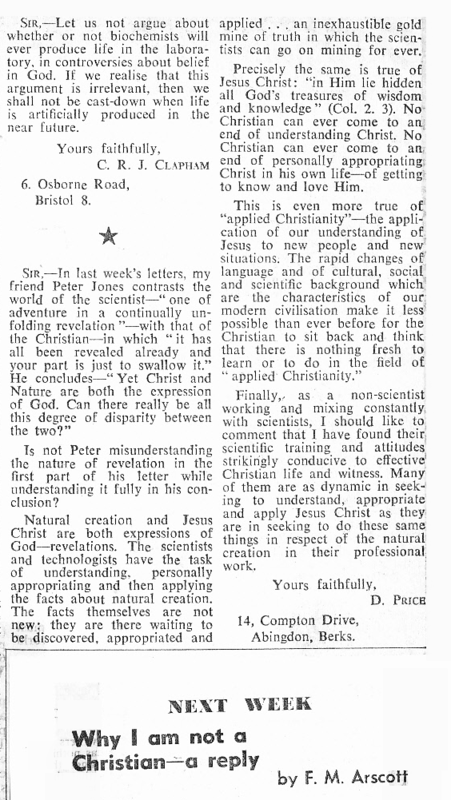 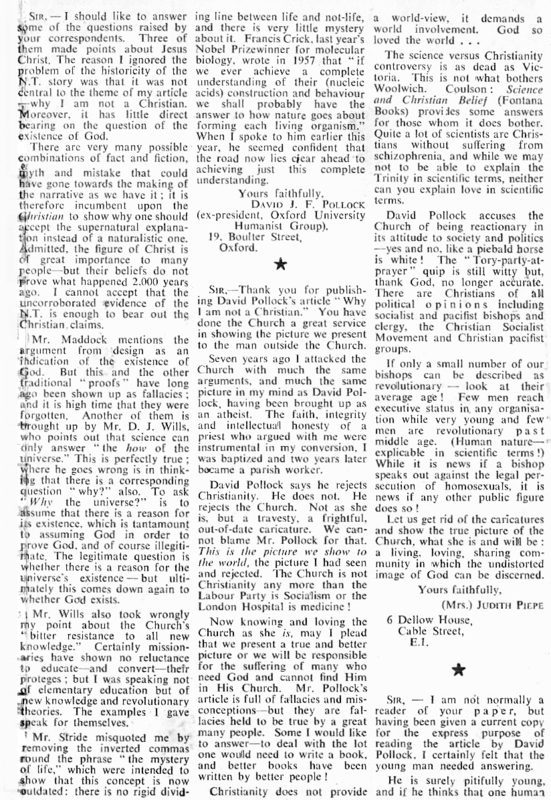 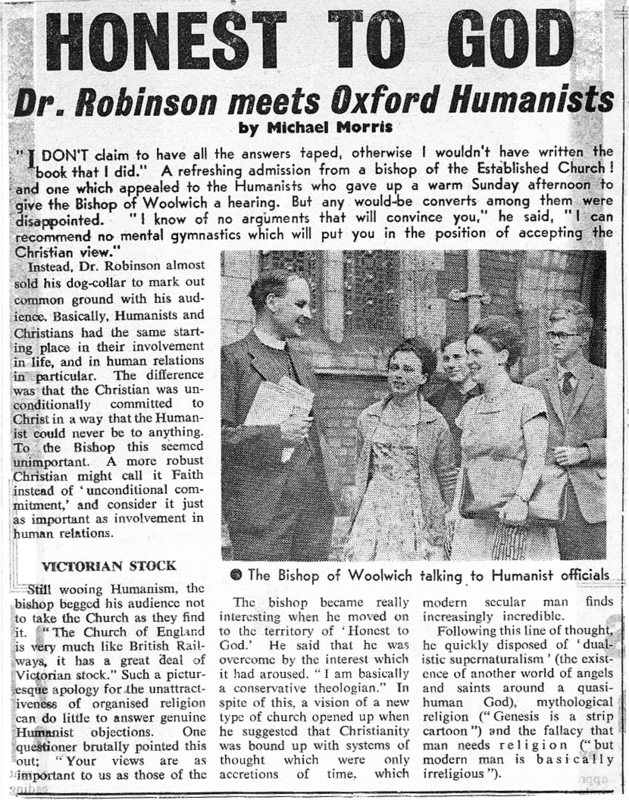 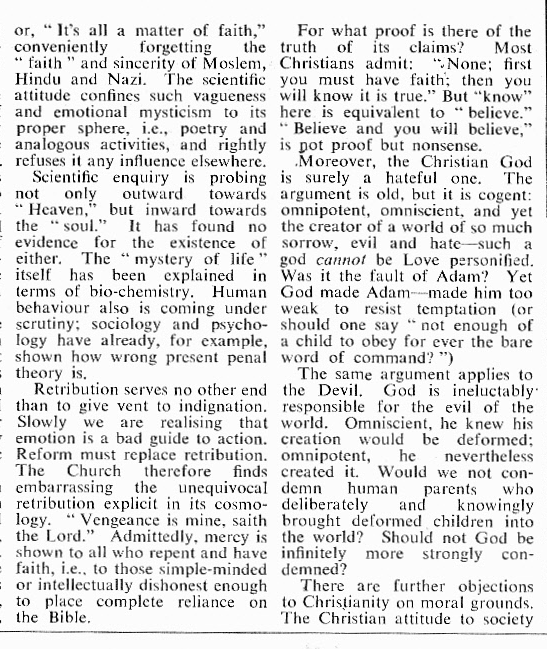 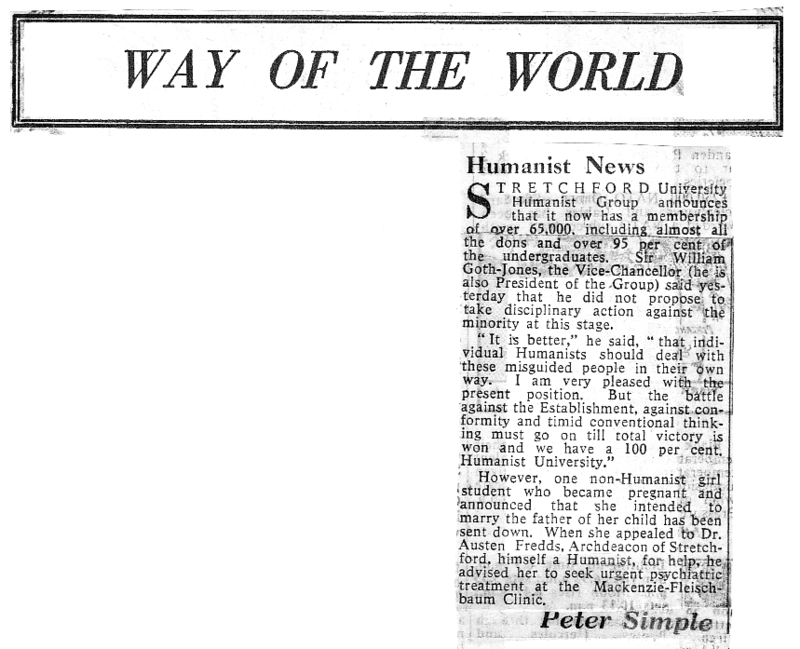 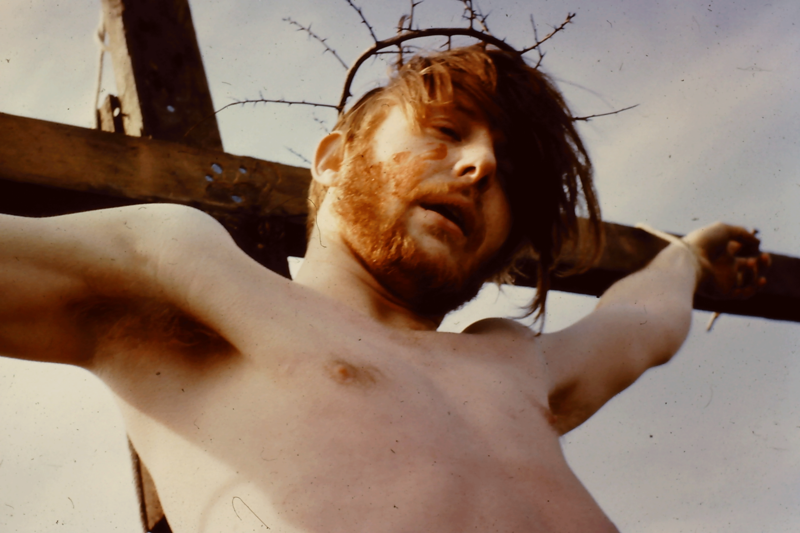 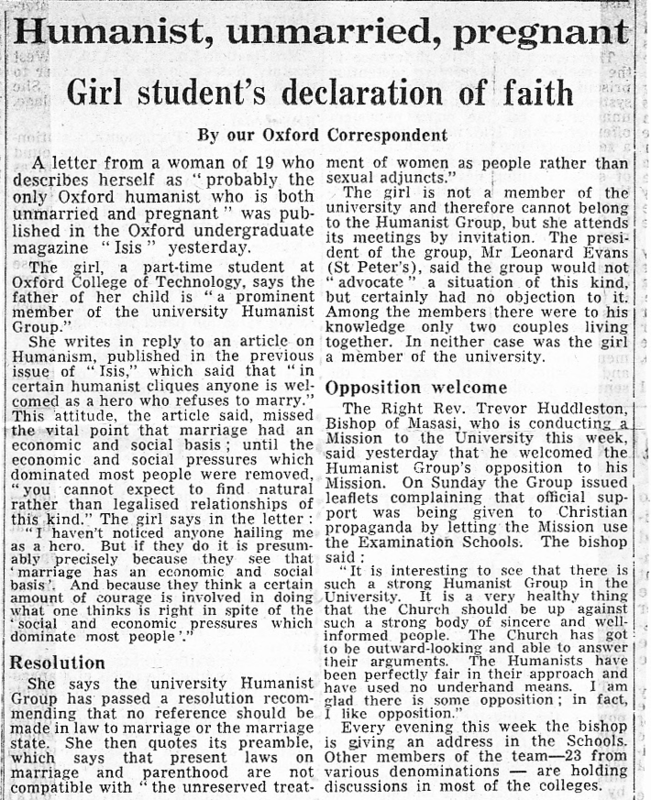 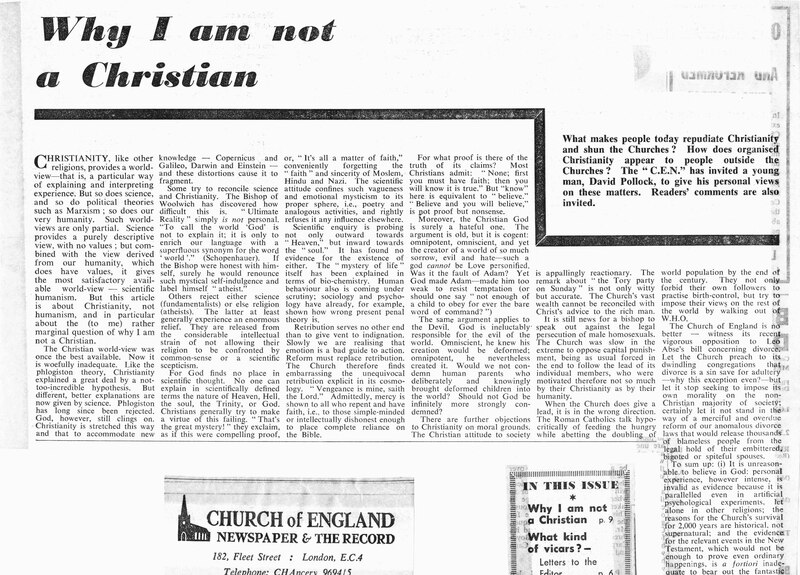 Soon after his letter in the Church of England Newspaper about the OUHG’s opposition to the SCM mission to the University, the paper invited him to write an article on Why I am not a Christian. 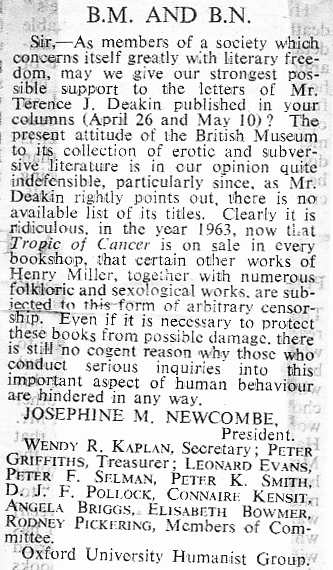 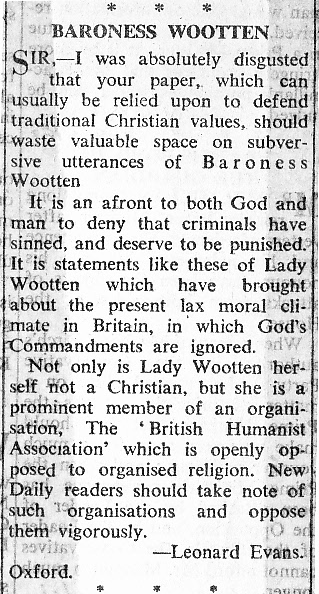 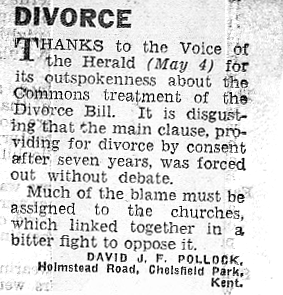 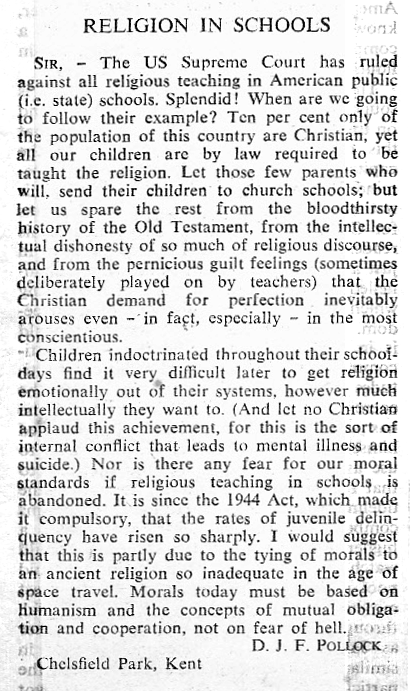 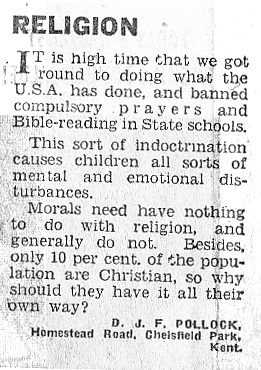 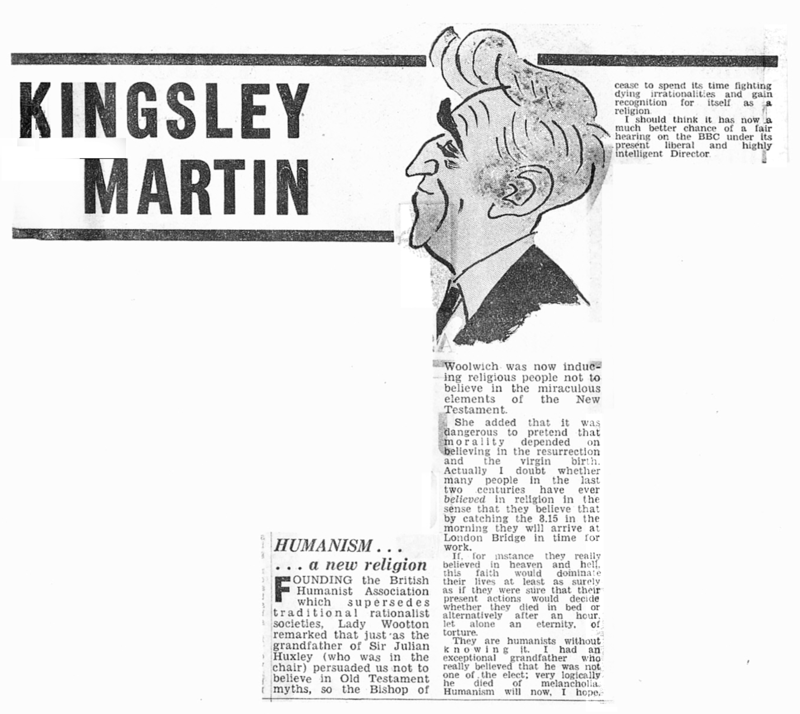 This was published opposite the editorial page on 9 May 1963 and led to voluminous correspondence in the paper for several weeks. 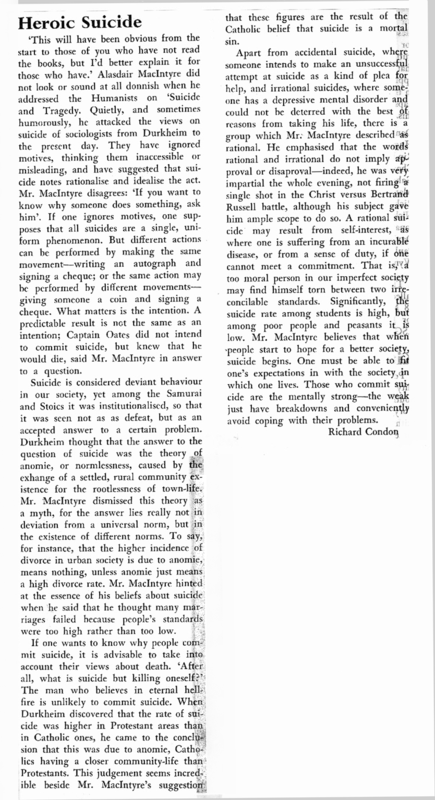 Enlarged images below, followed by the follow-up correspondence; and the text of the original article is here. 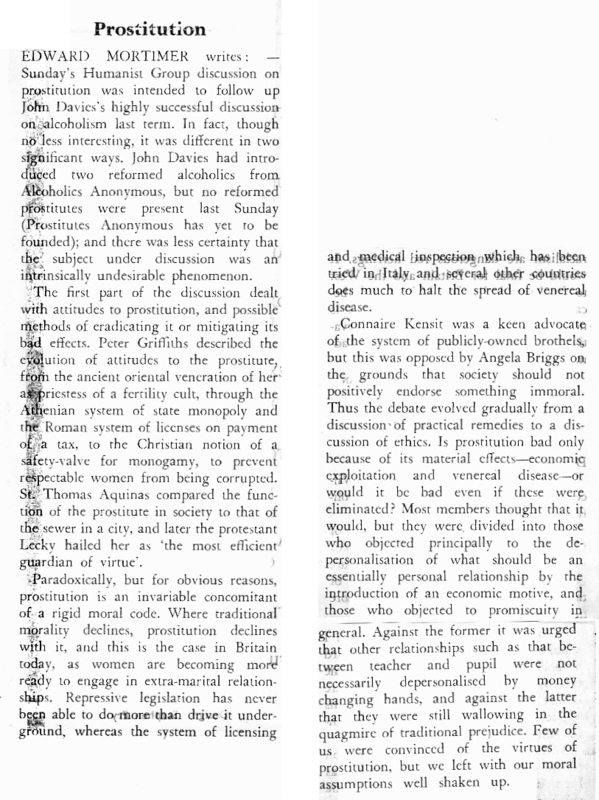 NB: These two columns continue below.